Welcome to Eco Equine, the Horse Hippie Blog. Why EcoEquine? Horse Hippies, like me, love the Earth (eco) and Horses (equine) so I created this blog to share with fellow Horse Hippies a bunch of great information on eco-friendly horse care that I have discovered. Horse Hippies also believe in environmentally conscious horse and farm care and I have researched great ways to help reduce the impact to the planet from our farm and horses. Horse Hippies also want to take the BEST care of our horses at the same time so I will test and share ideas that I believe work. Horse Hippies have learned the value of being healthy ourselves so you will also find articles on mindfulness, supplements and other practices that can help you be your best self. Finally, since my company, Horse Hippie, is so young and growing I thought you might enjoy hearing (and learning?) by sharing our Horse Hippie journey. 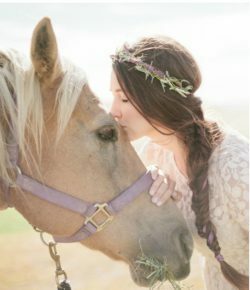 Through this blog I hope to inspire others to lead a Horsey, Happy, Hippie life!